Exhibition of the Serbian artist Ana Kala will be opened in the Galerie Ariana (Vondelstraat 20, 2513 EV Den Haag) from 18 June to 18 July 2015. 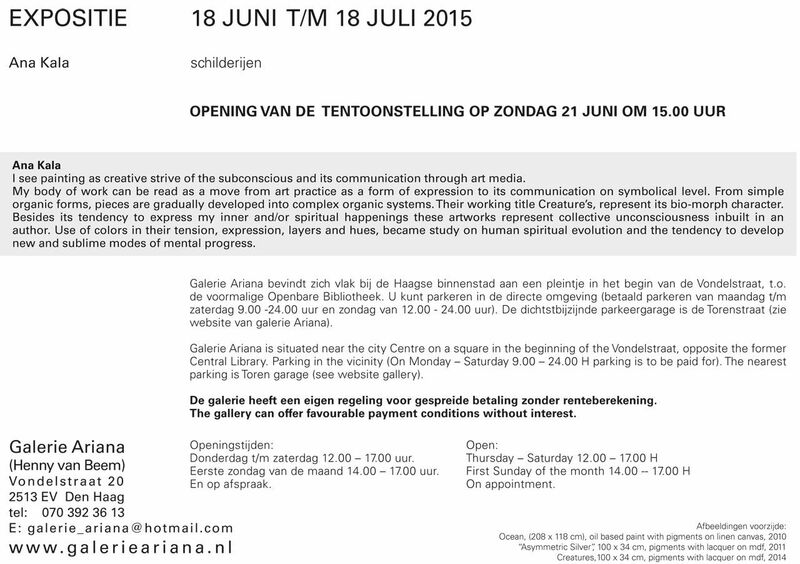 Official opening will take place Sunday, 21 of June 2015 at 15:00 hours. 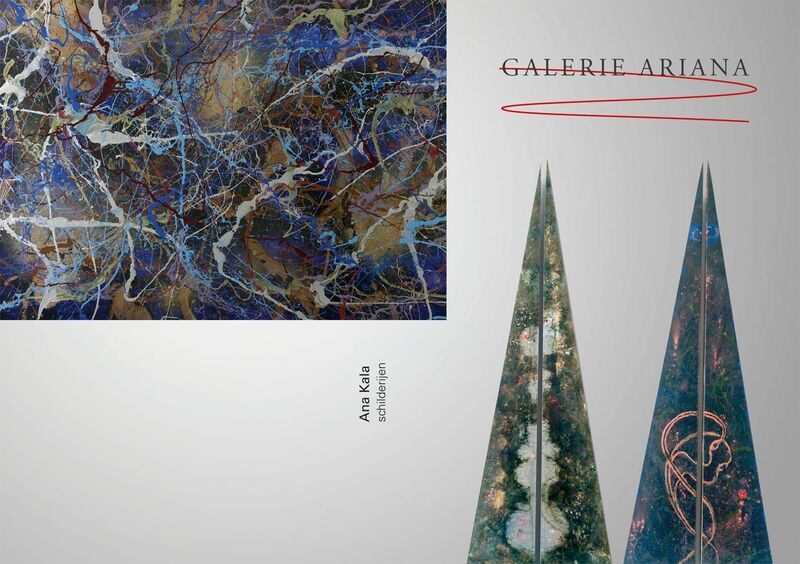 More information about the exposition can be found on http://www.galerieariana.nl/expositie%20actueel01.html.